This set of two brackets are designed to hold up to 6 Backgrounds using the Manfrotto Expan 046 sets. 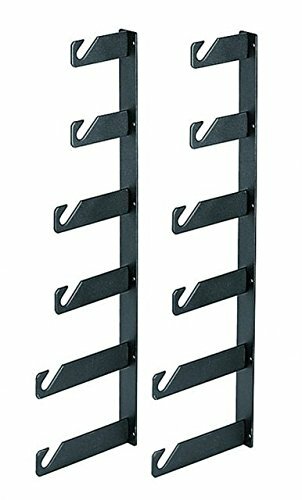 Set of two brackets for six Expan 046 sets. To be fixed to a wall with supplied screws. Color: black; material: steel; weight: 9.70 lbs.